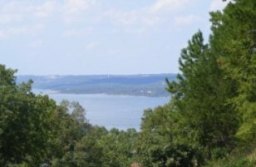 TableRockLake-BransonArea-RVParks provide close access to Branson activities and a lake vacation. Table Rock is a big lake so our listings cover only Branson campgrounds within 30 minutes of Branson. Rates are estimates and may not reflect updated pricing. Call, email or go online for current prices. COE site in Arkansas on the Long Creek Arm of Table Rock Lake. Slightly south of our highlighted Branson area map on Hwy 65. Maneuver map to the south to cross into Arkansas and Hwy 14 west. 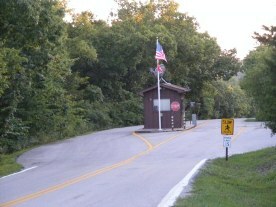 COE site on the Long Creek Arm of Table Rock Lake. COE campground on the southern edge of Lake off Hwy 86. 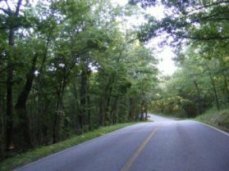 Directions From Hwy 76: south on Indian Point Rd 1.1 mile past Silver Dollar City entrance to 2nd road on left (60-D or Jakes Creek Trail). Turn left on Jakes Creek Trail & immediately turn right to stay on Jake's Creek, continue another 7/10 mile to Antler's Lane.Turn left to resort. This location is slightly out of our highlighted Branson area map. It is to the west of the Branson West/Kimberling City/Lake-Gold on our area map on Hwy 76. Maneuver the map to the west to find the town of Cape Fair. Directions: From Branson West at Hwy 76 and Hwy 13: south on Bus 13 to Hwy DD and continue for 1.9 miles. Turn left at the convenience store on the corner of DD Hwy. Follow DD about 4.7 miles to Lake Bluff drive. Turn left and follow Lake Bluff drive 1.6 miles to Bar M Lane. Prices based on # of people and season, Weekly rates available, Additional people $9 per day- Cable TV, Kitchens. Lodging options include Apts, condos, A-Frames, duplexes & log cabins. Call for pricing. COE campground is primarily wooded and most sites have a view of the water. Directions: From Hwy 13 jct with Hwy 76-south to Joe Bald/James River Road and turn right. Go 2.4 miles to 300B(green st sign) and turn right and go 1 mile to campground entrance. 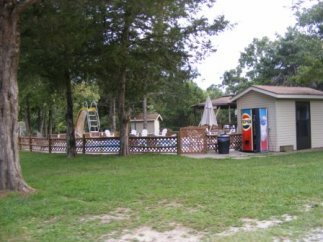 Waters Edge is a complete vacation complex situated on 177 acres in a beautiful waterfront setting and offers campsites from primitive to the largest of RV's. See Waters Edge Campground above. 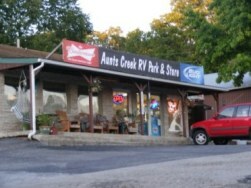 COE campground on the White River arm of Table Rock Lake. COE campground on the White River arm of Table Rock Lake. Many sites are located on the water's edge. Camping in Branson at the TableRockLake-BransonArea-RVParks allow good access to all the Theaters, attractions and shopping while keeping your home base on the lake.